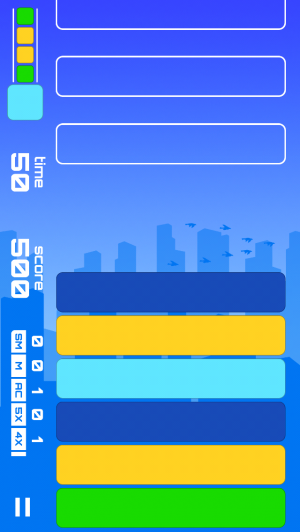 This colorful and smooth puzzle game is a reimagined version of a mobile classic. 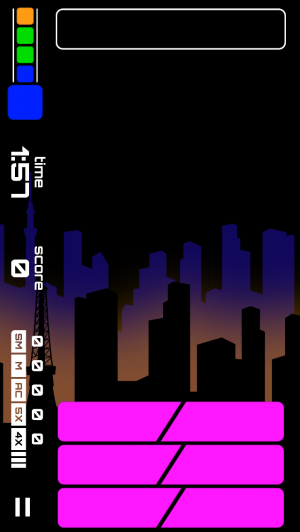 Shibuya Grandmaster is a reimagined version of Shibuya, which was a colorful and stylish puzzle game released for iOS back in 2010. While Shibuya Grandmaster is indeed a new and separate game from its predecessor, it feels much more like a re-tuned version - especially since the core gameplay is the same and the original is no longer available on the App Store. That being said, it manages to still deliver the same great puzzle experience while feeling like a distinct experience from the original, primarily because of its progression-based structure. 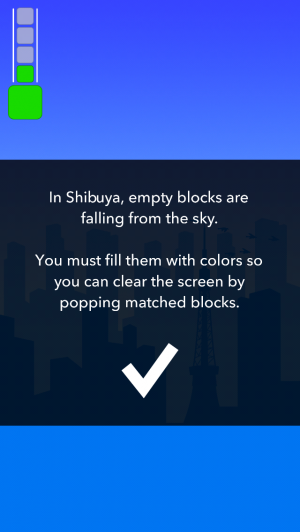 Shibuyais a matching puzzle game in which tiles of different colors all descend into a single column, and it's up to players to choose the order of these colored blocks before they fall in order to create matches, chain together combos, and keep the screen from filling up. While the original allowed for two modes of play, Shibuya Grandmaster sticks to having players challenge themselves in two minute rounds of various speeds that get unlocked as they complete missions. The biggest change between Shibuya and Shibuya Grandmaster is the presence of missions. When players start off, they're at the bottom of a chain of ranks; each of which has a set of missions associated with it. These missions can be anything from surviving a round of a particular speed setting to lining up specific combos or matches. After completing all of the missions in a set, players rank up and receive new missions to complete up until they reach the rank of "Grandmaster." This mission structure really makes Shibuya Grandmaster feel like more than a casual puzzle game, as there's always a new challenge for players to take on. That being said, the mission system isn't as flexible as some other games like Particle Mace, which means that players can find themselves with one particularly difficult mission that they just have to repeatedly try in the hopes of eventually passing on to the next rank. This kind of structure makes a certain amount of sense considering the gates for mission are particular ranks that are supposed to denote skill, but it can still be frustrating to play round after round with no forward movement in rank. The other thing to note aboutShibuya Grandmaster is that it looks and sounds great. 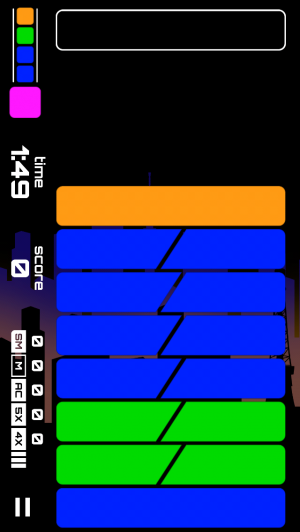 The bright neon colors and slick interface look really nice running at 60 frames per second, and the soundtrack is a set of smooth electronic dance tracks that fit the futuristic city vibe extremely well. Shibuya Grandmaster is a pretty phenomenal package overall. It offers up simple but challenging puzzling, completely free of charge. There are a few in-app purchases, but all of the things players can buy are purely aesthetic. Even with the somewhat inflexible mission structure, Shibuya Grandmaster is a very solid package and well worth picking up.